اکنون بیش از ۲۴ روز از اعتصاب غذای رضا شهابی در اعتراض به انتقال ناگهانی وی از بند ۳۵۰ اوین به زندان رجایی شهر در کرج میگذرد. وضعیت جسمانی شهابی در این مدت رو به وخامت گذاشته است، اما وی کماکان با وجود درخواستهای متعدد برای پایان دادن به اعتضاب غذا برخواسته های خود پای فشاری می کند. شهابی در نامه ای سرگشاده خطاب به دادستان تهران خواسته های خود را به شرح زیر اعلام کرده است. همانطور که در اعلامیه های پیشین تاکید کرده بودیم باید تمام تلاشمان را به کار گیریم که رضا شهابی بدون هر گونه قید و شرطی از زندان آزاد شود؛ در عین حال مقامات جمهوری اسلامی را باید تحت بیشترین فشارهای داخلی و بین المللی از طریق فعالین و تشکلات کارگری و مدافعین حقوق انسانی قرار داد که تن به خواسته های فوری رضا شهابی داده و وی را بلافاصله جهت معاینات و معالجات پزشکی لازم آزاد نمایند. ترجمه انگلیسی نامه سرگشاده رضا شهابی همراه با اطلاعات لازم دیگر به زبان انگلیسی، یک پتیشن و نیز آخرین عکسهای رضا شهابی در زندان رجایی شهر ضمیمه است. Respectfully reporting to you that: I, Reza Shahabi Zakaria, son of Ali, occupation driver and a member of Board of Directors and Treasury Secretary of “Bus Workers Syndicate of Tehran and Suburbs”, have been illegally incarcerated for five years now. My imprisonment is in clear violation of all international Labour laws, including Conventions number 87 and 98 of International Labour Organization which Iran is also a member of and signatory to its conventions and must abide by them as such. These conventions guarantee workers’ rights to establish independent labour organizations and the rights to election and strike. I have been sentenced to six years of imprisonment, banned from all Syndicates and any other social activities and also a fine of seven and half million toman (about three thousand dollars). All the charges against me were sham and produced by the interrogators of the 15th district of Judiciary ordered from higher up. I was unjustly convicted by Judge Salavati on these sham charges. As a member of Board of Directors of the syndicate, elected by workers in a general assembly, I was obliged and responsible to defend my co-workers in all matters of work conditions, issues of health and safety and all other work related matters. I have been elected as an official representative of my co-workers with a notarized power of attorney to represent their cases in Tehran’s branch of Ministry of Labour. Defending workers’ rights and demand that we live a humane and dignified life, was a task that I have wholeheartedly and tirelessly pursued. As a result many expelled workers have got their jobs back, wages were improved and workers benefited in other cases. Apparently such activities and achievements were not appreciated by many officials of the Tehran Bus Company and others; hence, on 1 June of 2009, in total disbelief I was arrested during work, in front of all passengers, accused of armed robbery. My entire house was violently searched by security agents and my whole family terrorized; with my young daughter and son crying and traumatized and my wife shocked. Security agents in civilian attire confiscated and took away all my hand writings and anything having to do with the Syndicate. I was transferred to ward 209 of Evin prison under extreme duress and psychological pressures and threats accompanied by insults, and beatings. I was held in solitary confinement for nineteen months with continuous physical and psychological pressures; As a result, the left side of my body is numb, I have had to go under surgery for my neck. At the present, I suffer from extreme back pain, displaced spinal disks, high blood pressure, non-stop nose bleeds, liver and stomach problems and chronic headaches. My family has also been subjected to psychological and emotional hardships; my children have been feeling isolated and depressed; they had difficulties continuing their education. Meanwhile my wife has taken over all the financial responsibilities of our family. In my absence she has been acting as both father and the mother for our children, making sure all their educational needs are met, while taking care of the monthly rent and providing money needed for clothing, health etc. In addition, she has been providing my monetary needs in jail and financially supporting me while I’m incarcerated She has been able to overcome all these financial obstacle by working from home, earning an income by producing pickles for sell and also receiving helps from some of my co-workers and other honourable labour activists and freedom-loving friends. Alas after four years of incarceration, in total disbelief, and unexpectedly, I have been illegally exiled from Evin prison in Tehran to Rajaie Shahr prison in the City of Karaj. This illegal transfer which occurred during my children’s’ final exams has caused them great harm. This illegal transfer completely disregards coroners’ report on my health and is causing great harm and distress to my family, co-workers and friends. It should be noted that Rajaie Shahr prison which I have been exiled to is lacking facilities that usually exist in other prisons. The solitary confinement cells in here are barely five meters (4.70 m) instead of standard twelve to fifteen meters in all solitary confinement cells, with two to three people in one cell. The only outlet is a thirty centimetres window, covered with three layers of metal mesh, which makes breathing very difficult. There’s insufficient air in the cells and breathing becomes a problem. Our access to yard is limited to two and half hours to three hours maximum, instead of morning to the evening. There are no recreational facilities, no access to books or a library for political prisoners or prisoners of conscious. There’s a total lack of health standards and a constant parade of mice and roaches throughout the prison. Medical care to prisoners is very low-quality and there’s no resources for physiotherapy or expert health care. The lack of proper food in here and also other substandard materials are a far cry from what prison regulations stipulates. On top of all these problems we face inside jails, our families outside have to face an array of economic and other problems because their main income earner is in jail. Travelling to Rajaie Shahr prison is a long trip from Tehran and costly, hence our weekly meetings have turned into bi-weekly or monthly meetings. 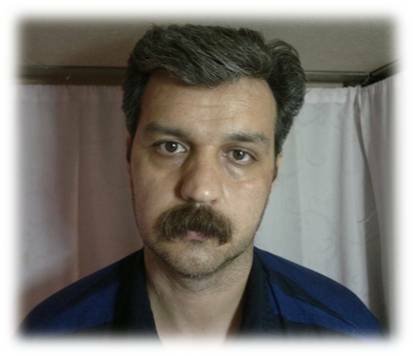 Reza Shahabi, the Treasurer and Executive Board member of the Syndicate of workers of Tehran and Suburbs Vahed Bus Company, known as "Vahed Syndicate", has been imprisoned since June 2010. He was brutally attacked and beaten during his arrest and interrogations, and severely suffered both physically and psychologically. He spent 19 months in solitary confinement, and during this time his family was not informed of his situation .He has been sentenced to six years of imprisonment, banned for five years from any trade union activities, and a fine of 7,500,000 Toman, in which is (the equivalent of about US $3000), on the vague charges of “propaganda against the state” and “acting against national security”. As the result of enduring psychological and physical abuses, he now suffers from multiple illnesses, including severe neck and back pain associated with disc herniation, numbness of feet and hands, liver and kidney complications, decaying of his lower vertebrates, heart issues, and etc. Reza Shahabi underwent cervical spine surgery on July 24, 2012, and he was transferred to Evin person shortly after, without being allowed to be healed from his surgery. He was temporarily released on bail on January 7, 2013, after a three week hunger strike, demanding to receive medical treatments outside of the jail. Once again, despite his needs for further treatments, he was forced to return to jail on April 15, 2013. On October 19, 2013, Reza Shahabi once again was transferred to a hospital due to numbness of his left foot and severe back pain. It was recommended again by his doctors that he had to receive hydrotherapy and physiotherapy in a stress free environment outside of prison and that without appropriate treatment his entire left side could be paralyzed. Nevertheless, the authorities have denied all these recommendations. There have been inconsistent messages by the prison and judicial authorities regarding Reza’s final release date from prison. According to a previous statement by the Appeal Court, Reza Shahabi had to be released in March 2014 (reducing his sentences to four years), but he has been given a new statement ruling that he would be released in May 2015, if he pays a 7 million toman fine; otherwise, his jail time will be extended to May 2016. Authorities have also been pressuring Reza to keep quite while in prison but he has refused to do that and during this time he has issued numerous statements. In his latest open letter to Tehran Province’s Attorney General (attached), Reza describes what he has gone through in more than four years. He has written the open letter from Rajaie Shahr prison. Reza has gone on hunger strike as of June 1st, 2014 in protest against his sudden/unannounced transfer from Section 3350 of Evin Prison in Tehran to Rajaie Shahr Prison in City of Karaj, where according to various reports including Amnesty International’s latest statement “ political prisoners and convicted criminal offenders, including violent offenders, are frequently held together”. His family has had hard time visiting him and medical and other facilities are even worse than Evin prison. In addition, the interrogator threatened to open a new case against Reza Shahabi on June 1, 2014, after he was exiled to Rajaie Shahr prison. The authorities of the Islamic Republic of Iran are fully responsible and accountable for the life and well-being of Reza Shahabi. We demand the immediate and unconditional freedom of Reza Shahabi. - Shahrokh Zamani, a member of the Founding Board of the Syndicate of Paint Workers of Tehran and the Committee to Pursue the Establishment of Workers Organizations, is currently serving an eleven-year prison sentence in Gohardasht Prison in Karaj. Shahrokh Zamani and Mohammad Jarahi were initially arrested in June 2011. Branch 1 of the Revolutionary Court in Tabriz later sentenced Shahrokh Zamani to 11 years and Mohammad Jarahi to five years imprisonment after conviction of charges including “acting against national security by establishing or membership of groups opposed to the system” and “spreading propaganda against the system”. Shahrokh Zamani and Mohammad Jarahi were both arrested in mid-January 2012 to begin serving their sentences. While in prison, Shahrokh Zamani, was violently forced to attend a court hearing on May 1, 2013, in which he was faced with a sham charge of insulting “the leader” (Ali Khamenei, The Supreme Leader of the IRI). Shahrokh was taken again to the court on September 8, 2013 and had to defend himself against the allegations that he has insulted Ali Khamenei in prison. On 10 March 2014 Mr. Zamani was unexpectedly forced to relocate from Gohardasht prison to Rajaie prison, with no explanation or justification for such a move. In response to this illegal relocation Mr. Zamani went on a hunger strike which lasted for almost a month. During his hunger strike there was an effective solidarity campaign actively supporting his demand for not being removed from Gohardasht and due to the popular pressures the officials in charge of his case had to reverse their decision. Mr. Zamani lost about twenty kilograms of his weight and even his old friends have said they could not recognize him due to the severe weight loss. Mr. Zamani participated in a May 1st celebration and event in Gohardasht prison and delivered the speech for the proceedings. - Mohammad Jarahi, a member of the Committee to Pursue the Establishment of Workers Organizations, an independent labour organization campaigning for the establishment of independent trade unions in Iran, is currently serving a five-year prison sentence. Mohammad Jarahi is in Tabriz prison, north-west Iran. Mohammad Jarahi and Shahrokh Zamani were initially arrested in June 2011. Branch 1 of the Revolutionary Court in Tabriz later sentenced Shahrokh Zamani to 11 years and Mohammad Jarahi to five years imprisonment after conviction of charges including “acting against national security by establishing or membership of groups opposed to the system” and “spreading propaganda against the system”. Shahrokh Zamani and Mohammad Jarahi were both arrested in mid-January 2012 to begin serving their sentences. Mohammad Jarahi, serving his third year in Tabriz prison, has been diagnosed with thyroid cancer. Mohammad reportedly had part of his thyroid gland removed in a surgery about three month ago at a hospital in Tabriz. Based on the final results of the tests and the detection of the Medical Commission, it is essential that Mohammad Jarahi sooner rather than later be transferred to a hospital outside the prison in order to be treated properly. Despite doctors' diagnosis and follow-ups of the family of Mohammad Jarahi, officials in Tabriz prison and judicial authorities refuse to let him out of prison and his hospitalization and treatment are not approved. - Behnam Ebrahimzadeh, member of The Committee to Pursue the Establishment of Workers’ Organizations, and a Children's Rights advocate, has been incarcerated in Evin prison since June 2010. Behnam Ebrahimzadeh was initially sentenced to 20 years’ imprisonment in December 2010 on national security charges. This was overturned by the Supreme Court, and after a retrial he was sentenced to five years in prison after conviction of “gathering and colluding with intent to harm state security”, apparently in connection with his labour activities on behalf of The Committee to Pursue the Establishment of Workers’ Organizations. This sentence was upheld on appeal in October 2011. Bahman Ebrahimzadeh, who was given a temporary release in order to care for his 14 year old son who is suffering from cancer, was under heavy pressure to return to prison, while his only son is bedridden and needs his father on his side. Latest reports indicate that, despite Behnam's pleas and calls by many labour activists and organizations in Iran, Behnam was forced to return to Evin prison on Monday, August 26, 2013. Behnam Ebrahimzadeh Defence Committee reports on September 15, 2013 that after Behnam was transferred to prison from his temporary medical leave for his son, the prison authorities decided to open a new case against him for reporting to the prison a few days after the deadline. Mr. Ebrahimzadeh was one of the inmates severely attacked during the 17 April raid on political prisoners of Evin. After the attack he and nine other injured political prisoners were sent to solitary confinement in ward 240 for fifteen days. 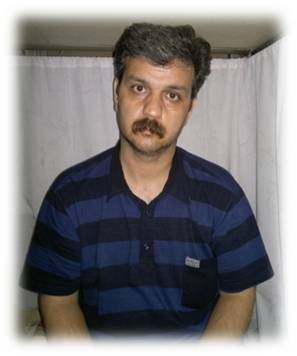 After he was briefly returned to the general prison population of Evin, on May 2, 2014 he was sent to solitary confinement in ward 209 of Evin again for 54 days and was transferred back to the general ward on June 17, 2014. - According to the Amnesty International, Rasoul Bodaghi, a member of the Tehran Teachers’ Trade Associations, which is affiliated to Education International, was arrested in September 2009. A teacher for 20 years, he was sen-tenced to six years in prison for “propaganda against the system” and “gathering and colluding with intent to disturb national security”, both vaguely worded charges. In January 2011, the Appeal Court confirmed Rasoul Bodaghi’s sentence and banned him from taking part in any civil society activities for five years. It is also important to highlight the current situation of Mr. Jafar Azimzadeh who was arrested on April 30th and released on bail on June 14, 2014. Jafar Azimzadeh, the Chair of the Board of Directors of “Free Union of Iranian Workers” was brutally arrested in his house in front of his family members on 30 of April, 2014 and his computer and some other documents were also confiscated by security agents. Mr. Jafar Azimzadeh remained incarcerated for 46 day, He was arrested a day before events planned for the International Workers’ Day. Jafar was under extreme pressure and intense interrogation in section 209 of Evin Prison to abandon his labour activities. There are many other labour activists across the country that are being persecuted and arrested on short-term basis. Many are currently facing legal battles and have been charged with various sham charges. A more comprehensive list of jailed and prosecuted labour activists will be created and published on IASWI’s website in July 2014. For instance, bus workers and other labour activists in Tehran, Mechanical Steel workers in a suburb of Tehran and a group of independent labor activists in Sanandaj were targets of state repression, and were arrested on May1st, 2014 and the night before May 1st, solely because of their plans or participation in independent May Day celebrations and rallies throughout Iran. It is important to emphasize that many cases go unreported. About IASWI: The International Alliance in Support of Workers in Iran (IASWI) was formed in 1999 and formally launched in January 2000. The IASWI has been working in collaboration with many labour and progressive organizations and activists in Iran and around the world to strengthen worker-to-worker solidarity in defence of workers’ rights, demands and struggles in Iran and against the repressive anti-worker policies and practices of Islamic Republic of Iran. IASWI is a fully independent organization and does not accept funding or resources from any governments or corporations and their affiliates.